Would be simplistic to take sides in this long running conflict but I think the Israelis went too far by using snipers against demonstrators. This has to escalate and Iran would love to jump in while Israel is distracted. it probably will howard. the Israelis might there arses kicked here. As has been said before, if the 'Palestinians' put down their weapons there would be peace, if the Israelis put down theirs there would be a bloodbath. If Britain, France, Belgium and the Netherlands had laid down their weapons in 1940 there would have been ‘peace’ too. Under German occupation. Are you denying people the right to protest? Here's a thought. Employ them in a 70+ hour a week, minimum wage style environment, that'll give them no energy to protest and no opportunity to get themselves heard. Isn't that how the gig economy, austerity sponsored, neo-liberal system has done it over here? Michael Adebolajo and Michael Adebowale were only protesting should we also look the other way on that one? m'lord! Seems you know even less about geopolitics than you do about local politics. Whatever the rights and wrongs of the “occupation”, I do wonder if the Hamas hierarchy are now rubbing their hands at the thought of the likely world outcry against the nasty Israelis? Pro Palestinian media publicity that you couldn’t buy I would have thought? Don’t suppose either ( although I don’t actually know of course ) that many of the top Hamas guys were either killed or injured in this “protest”. No need, just shove the gullible masses up front, set the scenario, wait for the inevitable fireworks, job done! One should not forget the real refugees, the Jews driven out of Arab lands over the years (much as Christians are still being driven out today). One might draw parallels with the 20,000 Hungarian Refugees who fled to the UK in the 50s. Initially on ND documents after a short time they were granted citizenship. Meanwhile the tens of thousands of so called 'Palestinian' refugees and their children and even their children's children in Arab countries have been refused citizenship for over half a century now and treated as 'second class'. If only their Mohammedan brothers had treated them as we treat refugees most of the 'problem' with Israel would have dissipated years ago - instead the arab countries have kept them as a running sore so that whenever their inhabitants ask why life is so crap, why they are so poor, why there is such an obscene variation in wealth they can be told 'it would all be milk and honey if it wasn't for those nasty Israelis'. The quicker the USA and others stop giving aid to the ungrateful sand peasants the better. 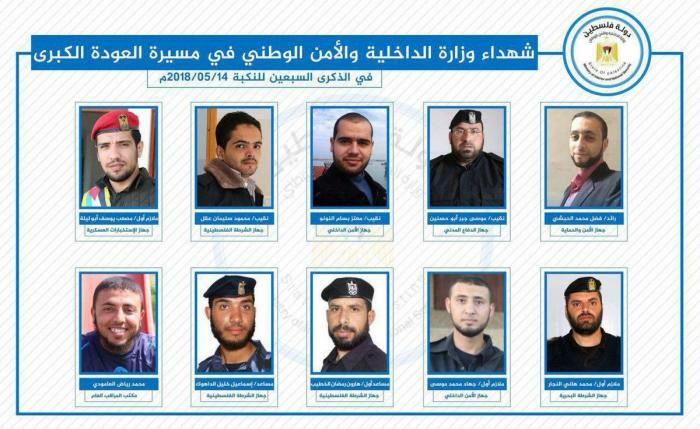 STOP PRESS Gaza: First martyrdom pictures coming in, ten killed were members of Hamas' internal security apparatus. How exactly do we handle bona-fide refugees? Did the Dubs Amendment, which was agreed, actually show us in our best humanitarian light? Then of course there is the small matter of WINDRUSH. We asked for help, they paid their fares and answered the call then our gloriously 'hostile environment' kicks some of them out. On the issue of Muslim (or Muslim influenced) countries accepting refugees, aren't you conveniently overlooking the efforts of Turkey and Lebanon with the Syrian refugees? I understand that Lebanon took in some 1.5 million refugees - which I think you might have to agree derails your argument (considering they had a population of circa 6 million). Personally I'd go back to the 1951 convention which specifically excluded both refugees from 'palestine' and from the partition of India. It was solely for 'political' refugees not for the latest hundreds of thousands on the losing side of some conflict. You are deliberately confusing the issue if you are suggesting that they were "protesting". For clarity, Protest (noun) a statement or action expressing disapproval of or objection to something. (Verb) express an objection to what someone has said or done; declare (something) firmly and emphatically in response to doubt or accusation. Source: Google search for "protest definition". Their words m'lord not mine, incidentally they were carrying clevers as well! Thinks...should I pick up Reg on his spelling of cleavers or should I make joke about 'large choppers' and set the usual suspects off? I really don't want to get drawn into this but it's not necessarily a 'war crime' just because bad stuff happens. During WW2 in 'our' bombing of Dresden as well as killing 25,000 - 35,000 people (who may or may not have supported Hitler) we also totally destroyed 72 schools and 22 hospitals. War crime or collateral damage? In today's climate the Dresden bombings would be a triumph of Neo-Liberalism. Bombs factories receive new purchase orders, contracts for rebuilding get meted out; make the hospitals private and the schools academies even! All sounds a little Iraq to me.